Primavera als Barris. If you didn’t get your ticket for Primavera this year, despair not. This program of free gigs takes place in a different barrios throughout May. It offers the thrill of live and is completely free. The program features Muñeco and Pivot on May 3rd at C.C. Parc Sandaru (Poblenou); MC Buseta and Maní Pacao on May 8th at at Casal de Cultural (Sant Adrià); Cor Blanc and Goiko on May 17th at C.C. Albareda (Poble Sec); and One Path and Nu Drama May 24th at Espai Jove La Fontana (Gràcia). Els Aperitius. 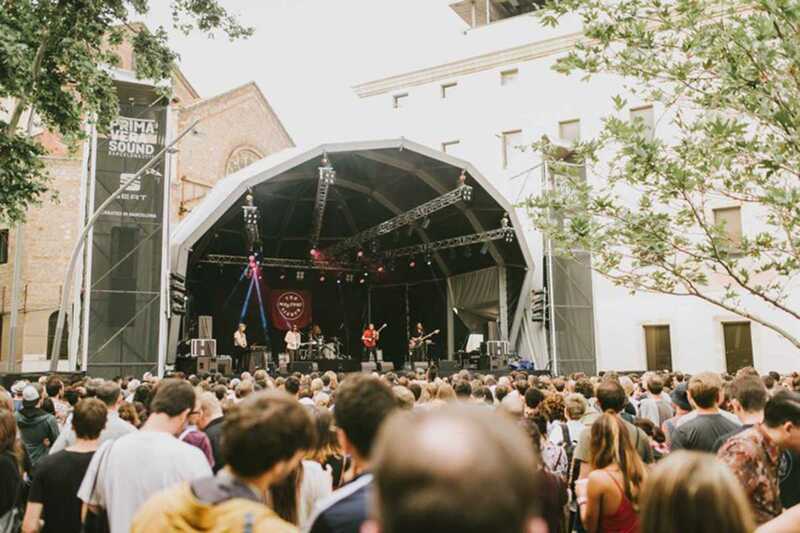 Primavera team up with Aperol Spritz to offer concerts with Ferran Palau and Ylia at the Pulitzer's rooftop terrace (May 19th) and Mishima’s David Carabén and Sonido Tupinamba (May 25th). Primavera als Clubs. If small scale’s more your bag, check the Apolo and its recently refurbished  for quality acts and cheap prices running May 28th to June 3rd. Opening Day. And if youth clubs just won’t cut it for you, the generous crowd over at Primavera are offering up an opening party on Wednesday, May 30th at the festival site that is completely free of charge. Get down there early to baggsy a spot and check out a characteristically quirky program including Scottish indie stalwarts Belle and Sebastian, reunited Canadian quartet Wolf Parade and Chilean pop diva Javiera Mena. Primavera al Raval. If you're still standing on Sunday, June 3rd head to the CCCB for a free party with two stages hosting a dozen local and international acts.